NOTE: These computations are based on the previous table. Page 239. The second canonical correlations are also given above. Figure 10.1, page 241. 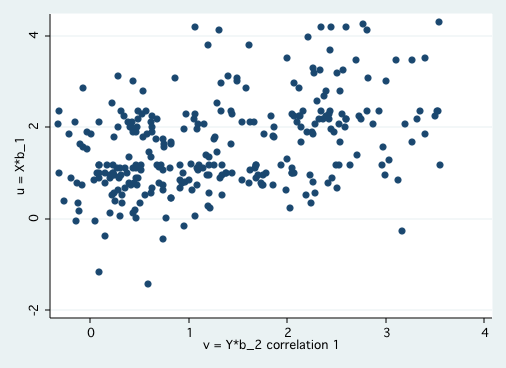 Note: The shape of the plot is the same as in the book, the values are just shifted slightly. NOTE: The signs of the canonical correlations are arbitrary. Hence, even though the signs shown in the output below are different to those shown in the text, both are correct.